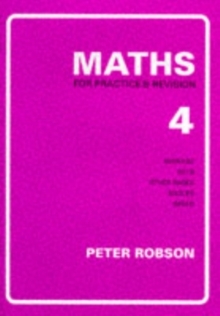 One of five textbooks for use in school and at home. Each left-hand page shows methods with worked examples. The corresponding right-hand page gives questions for the student to try. Topics covered include: average (mean); clocks and calendars, including 24-hour clock; set notation and Venn diagrams; speed, distance and time; bases other than ten; angles; and polygons.